Our Leaflet Distribution Services targeting commercial premises can be tailored exactly to a client’s requirements. 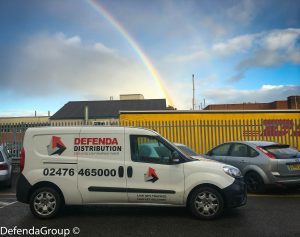 Whether you wish to cover retail outlets, manufacturing or other commercial properties with a well planned & accurately executed leaflet distribution campaign, we can provide the information & delivery service you need. We can map and advise on the number of business premises within any defined area, allowing you to accurately print buy for the planned campaign. Once we have established exactly how many premises fall into your target area we can then advise on the timescales & cost of conducting the campaign. 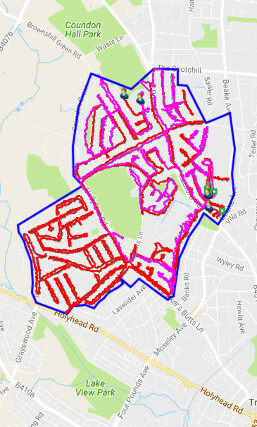 During the leaflet delivery you will have live access to our GPS Tracking Software in order to view our distributors in action. You will find it very reassuring to be able to watch live to ensure that everything is being carried out in accordance with your wishes. We can provide data on all areas of the UK & we conduct all distribution using our own staff. We are not a ‘leaflet broker’ & DO NOT pass distribution of your leaflets on to a third party distributor. All work we undertake is controlled by us & is handled in the interest of you the client.